Reading opens up a world of possibilities—it educates, promotes empathy, and expands vocabulary. The more you read, the better you become at reading. 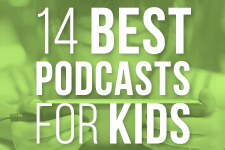 Unfortunately, for some kids reading is less of a passion and more of a chore. 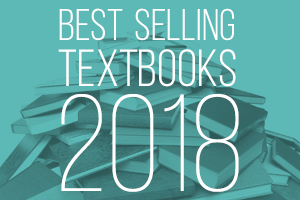 One proven technique to change that view on reading is to have children and teens read about topics that interest them. But how do you find books that they find rich and interesting, yet aren’t so difficult they can’t access the text? 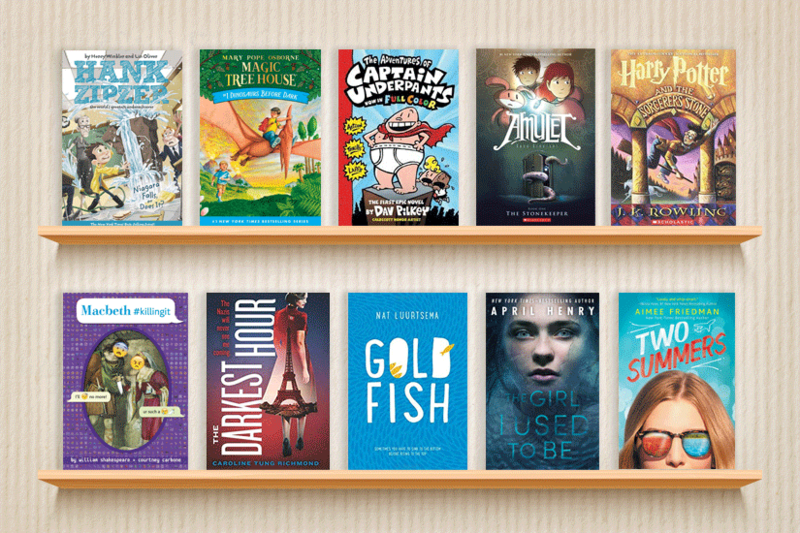 We’re here to help with our list of 10 books to engage young readers. 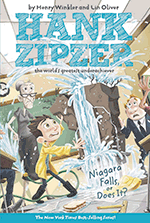 The Hank Zipzer books—co-written by Lin Oliver and Henry Winkler (that’s right: “The Fonz” himself)—feature a young dyslexic hero inspired by Winkler’s own experiences in school and on the set of Happy Days. From science fairs gone wrong to the high stakes world of fourth-grade softball, join Hank as he uses his humor and imagination to succeed despite his dyslexia. 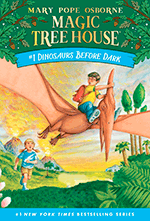 A magic tree house, a mission from Morgan LaFey, and dinosaurs are a great way to kick off the #1 bestselling chapter book series of all time. Join Jack and Annie as they journey into the prehistoric past and avoid becoming a dino’s dinner. 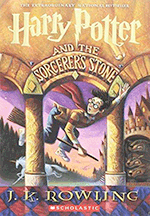 Later books in the series (known as the Merlin Missions) present more challenging adventures for advanced readers. Fourth-grade class clowns George and Harold have created the greatest superhero in the history of their elementary school — and now they're going to bring him to life! 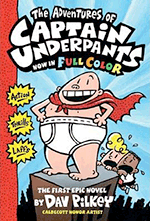 One hypnotism ring and one grumpy principal later and it’s time to meet The Amazing Captain Underpants! 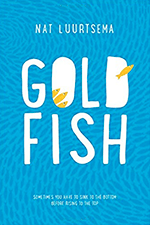 With illustrations on every page, this book is great for both beginning and chapter-book readers, and sure to turn even the most reluctant of readers into lifelong fans. 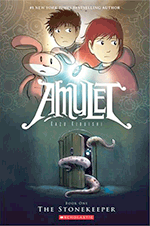 Kazu Kibuishi’s graphic novel creates a world of terrible, man-eating demons, a mechanical rabbit, a talking fox, a giant robot—and two ordinary children on a mission to face the most terrifying monster of all for a chance to save the person they love. Aimed at an older elementary school demographic, The Stonekeeper has some dark elements, but it’s action-packed adventure sequences move at an exciting clip that make it hard to put down. Magical, enchanting, captivating: we probably don’t need to spend too much time explaining the premise of the most culturally impactful literary series of the 20 years. Let’s just say that this little wizard and his friends have magically enticed uncountable numbers of young readers into a lifetime love of reading. Well done, Harry! OMG, it’s Shakespeare by way of smartphones. 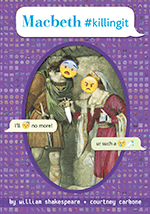 A classic is reborn in this fun and funny adaptation of one of Shakespeare’s most famous plays, written in a group texts, emojis, status updates, and Foursquare check ins. What better way to introduce the Bard to today’s social media addicted teens that with a book filled with LOLs? 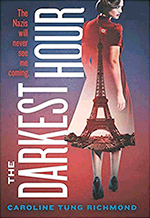 Set during WWII, The Darkest Hour tells the tale of Lucie, a 16-year old recruit of Clandestine Operations—a secret espionage and sabotage organization. Deployed to German-occupied France, Lucie must hunt down a Nazi traitor to uncover a super-weapon that threatens to destroy all of Western Europe. But the deeper she infiltrates, the more danger she’s in, and trusting the wrong person could cause millions of lives to be lost—including her own. Olympic washout, new school, angry ex-coach: Louise Brown’s had better years. But somehow she’s going to find her way in life, even if it’s through coaching three A-list guys from school’s synchronized swim routine for Britain’s Hidden Talent. It’s a light-hearted story that’s side-splittingly funny and painfully true to anyone who’s just trying to figure out how they fit into the world. Olivia was only three years old when her mother was killed and everyone suspected her father of murder. Fast forward fourteen years: new evidence now proves her father was actually murdered on the same fateful day. Knowing there's a killer still at large, Olivia returns to her hometown, determined to uncover the truth. But can she do that before the killer tracks her down first? 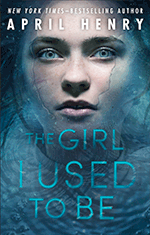 The Winner of the Anthony Award for Best Young Adult Mystery Novel, The Girl I Used to Be is a thrilling murder-mystery that'll have your teen on the edge of their seat. 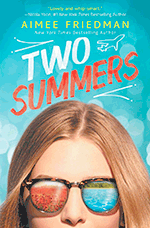 When Summer Everett makes a split-second decision, her summer divides into two parallel worlds. In one, she travels to France. In the other, she remains in her ordinary suburban home— but nothing is as it seems. In both summers, she will fall in love and discover new sides of herself. What may break her, though, is a terrible family secret she can't hide from anywhere. In the end, it might just be the truth she needs the most. 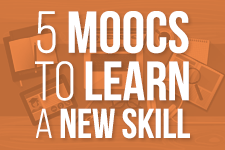 What are your engaged readers reading? Meet up with us on Facebook and share your success stories.